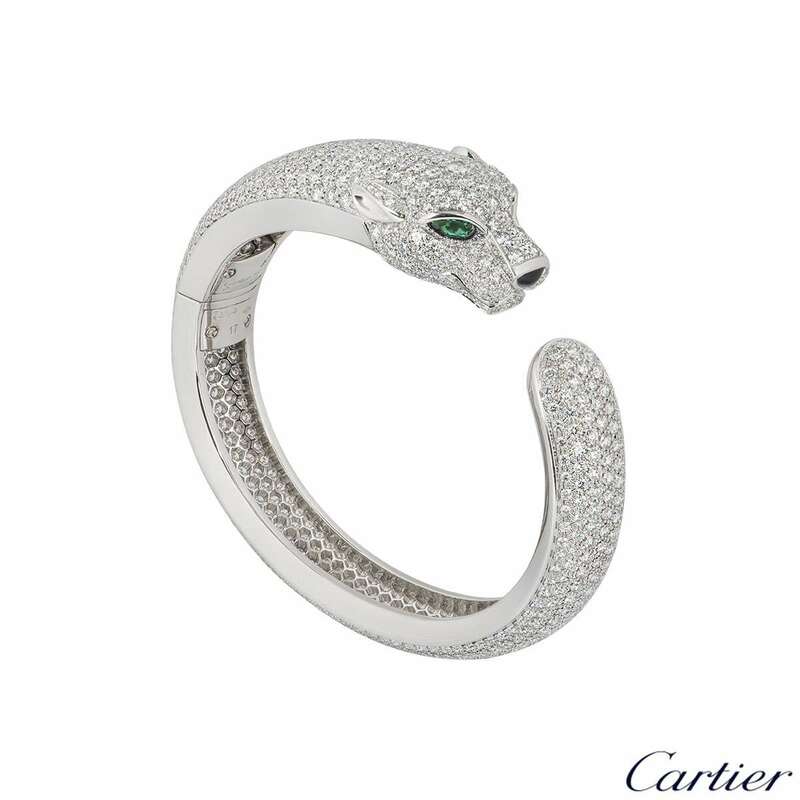 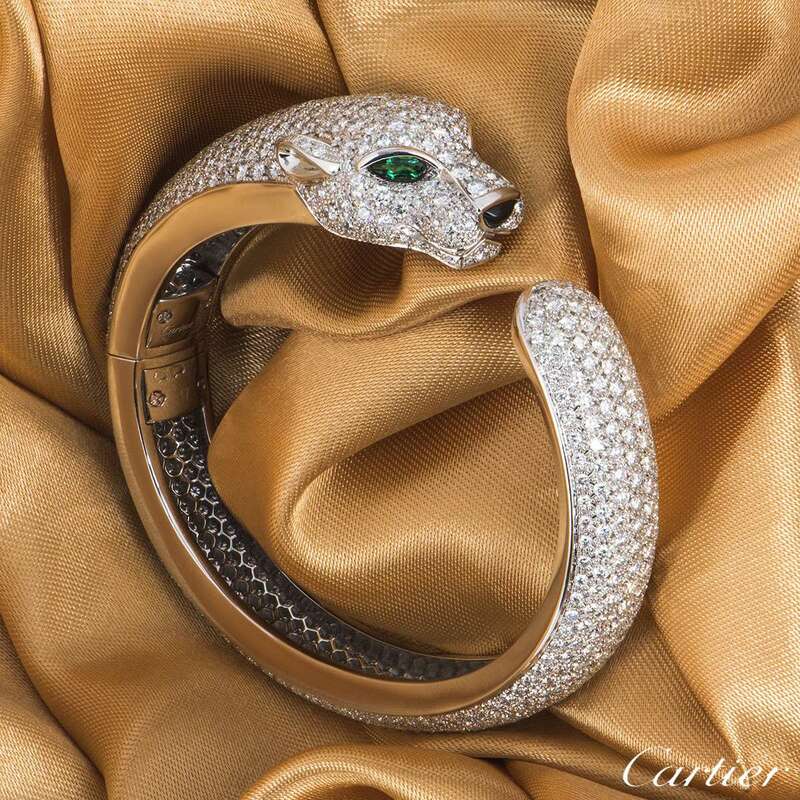 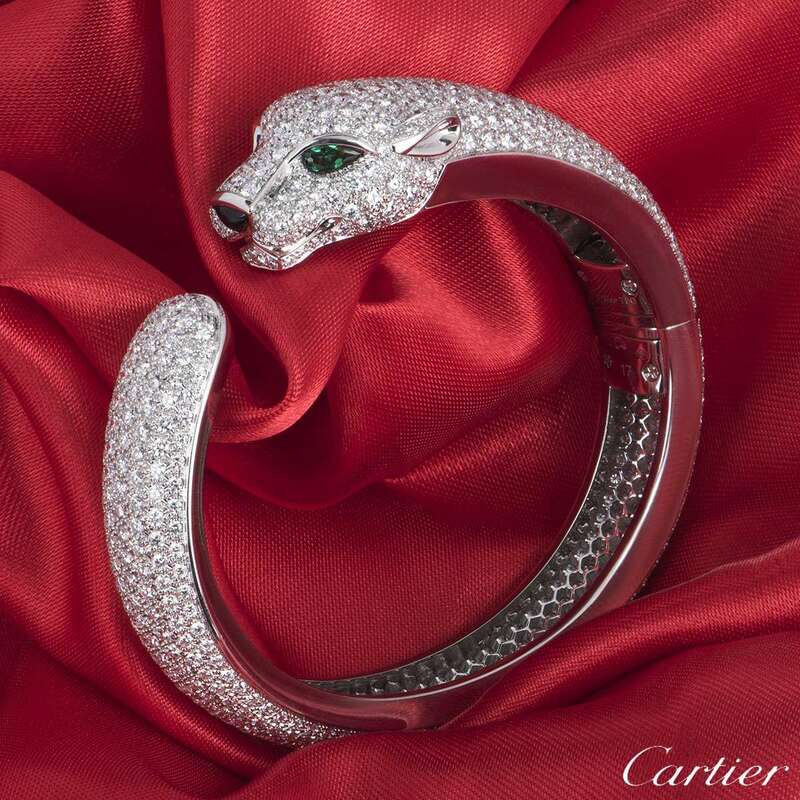 An exquisite 18k white gold diamond, emerald and onyx Cartier bracelet from the Panthere De Cartier collection. 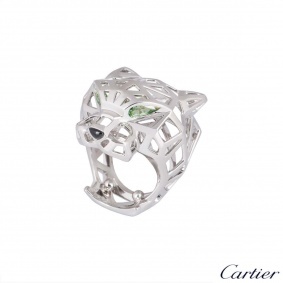 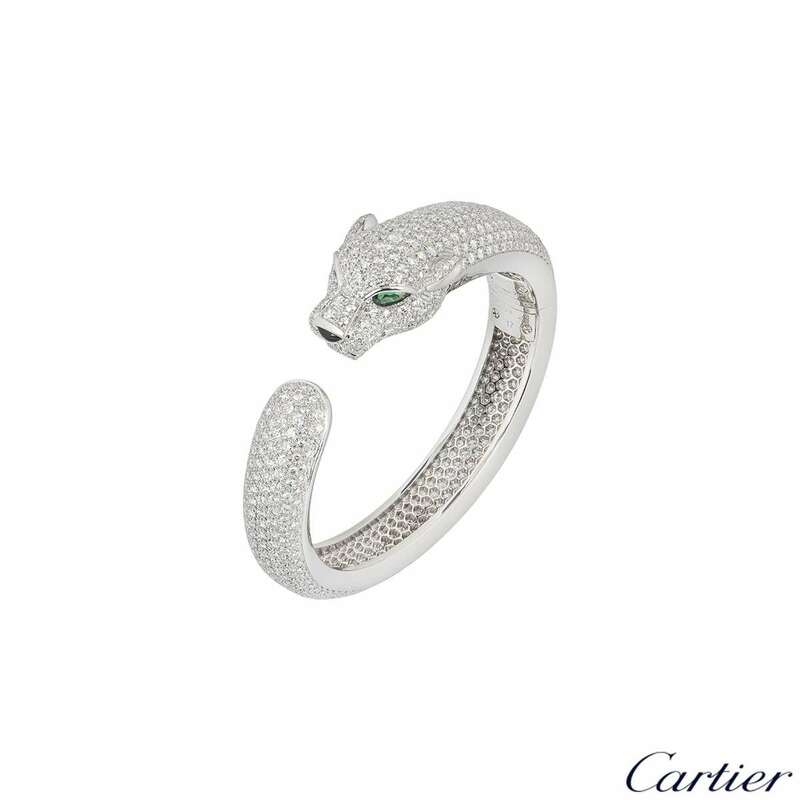 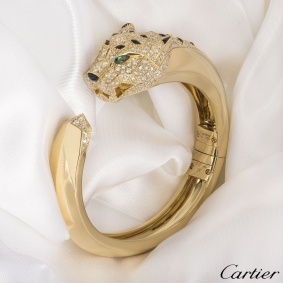 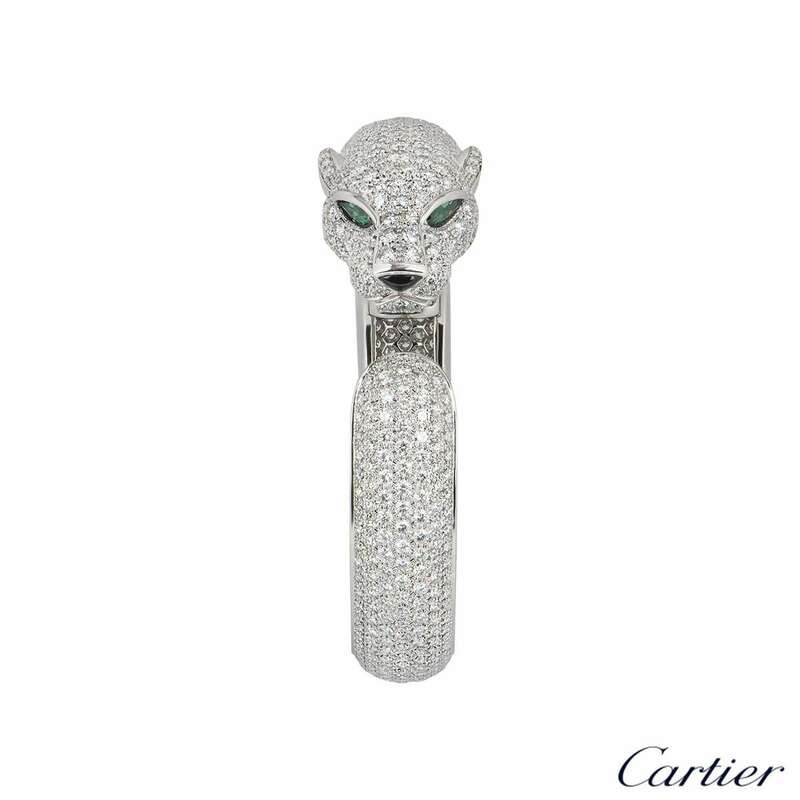 The bracelet features the iconic panther head motif set with 2 emerald eyes and an onyx nose. 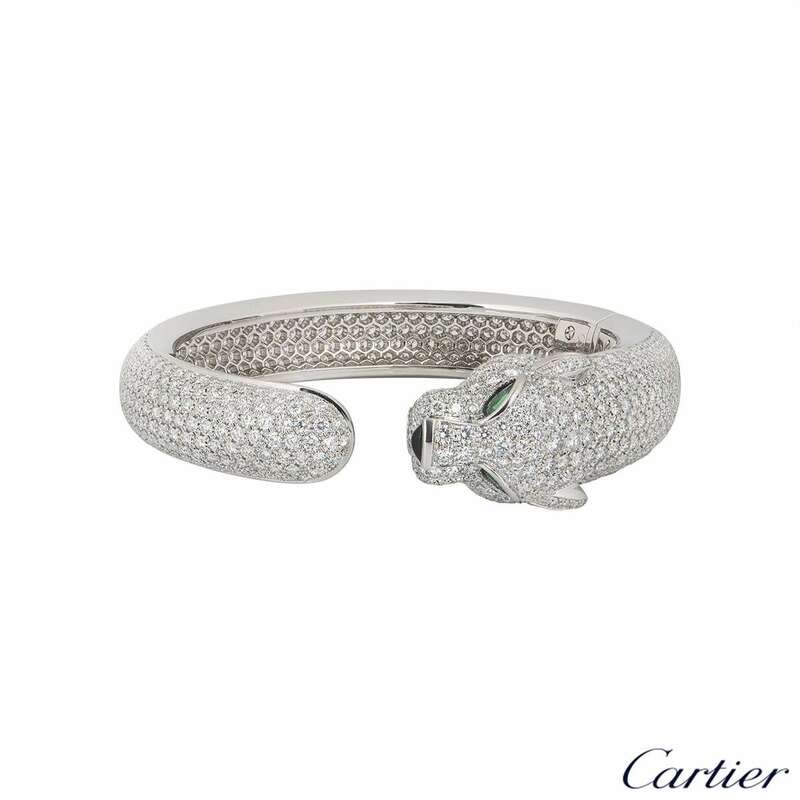 The bracelet is fully set with 706 pave round brilliant cut diamonds totalling 15.74ct. 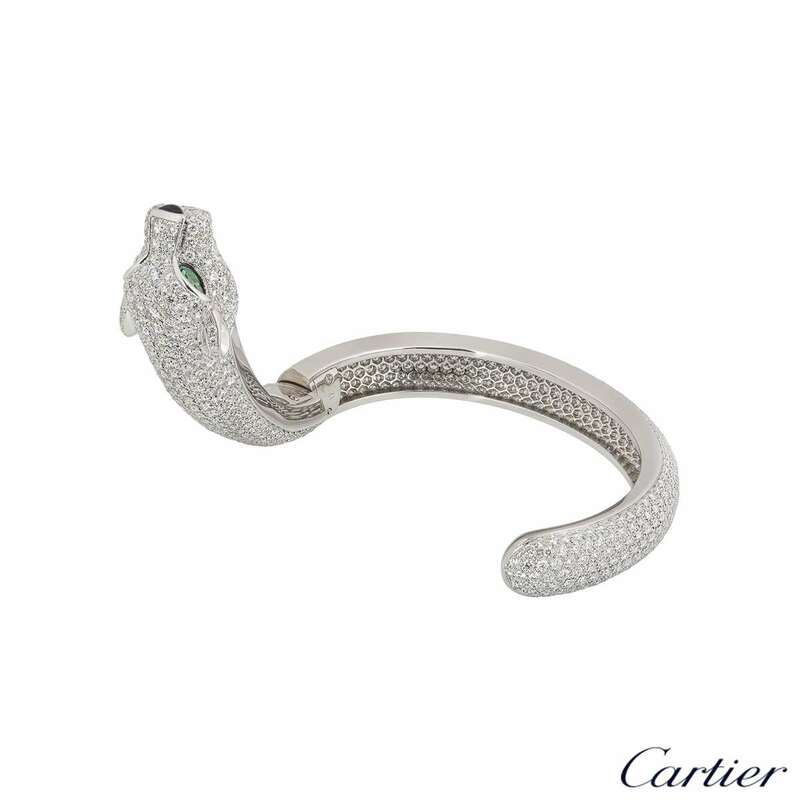 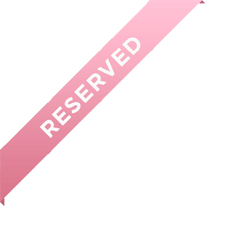 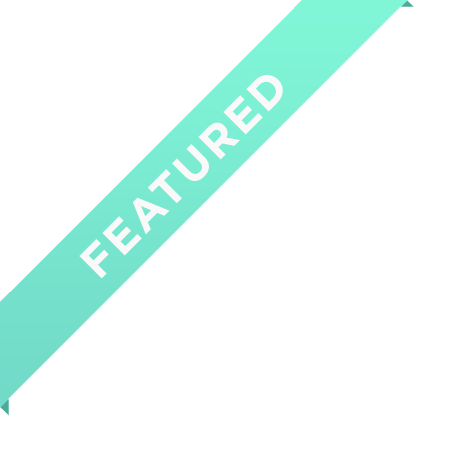 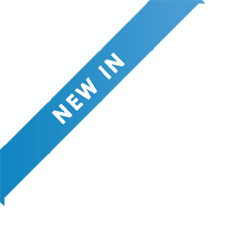 The bracelet features a swivel mechanism to open to put on the wrist and will fit a wrist size of up to 17cm, with a gross weight of 67.30 grams. 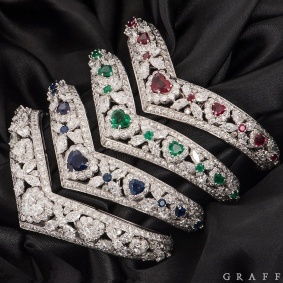 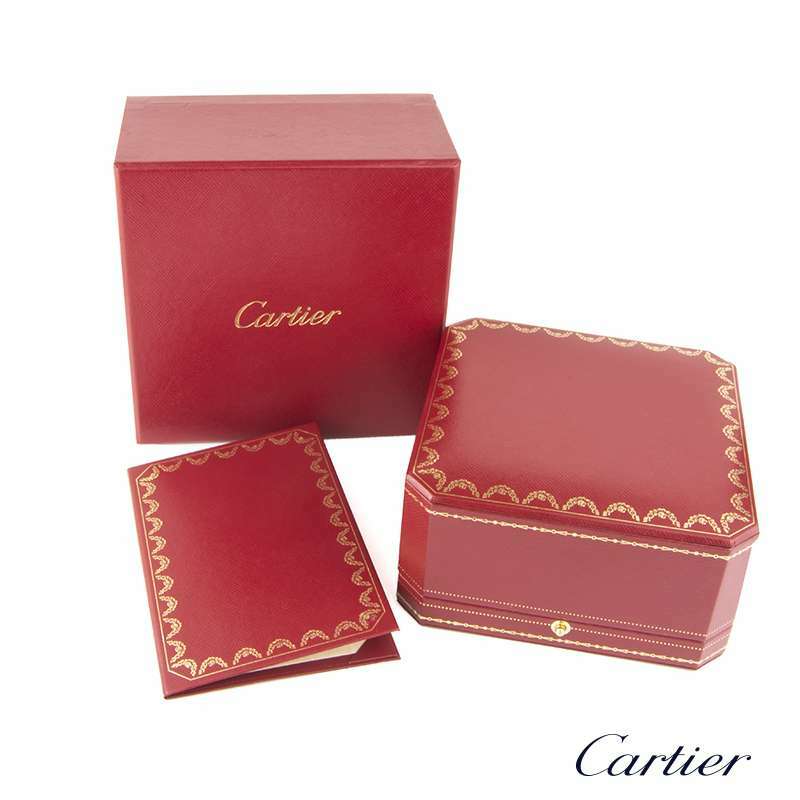 The bracelet comes complete with a Cartier presentation box and Cartier service papers dated March 2019.